3.0 out of 5 starsMore ‘Woman’s Home Journal’ than Scott Fitzgerald. I bought this book to entertain myself on a long aeroplane journey and it served it’s purpose, but it’s a bit of a soap opera. As alluded to above, this book would not be out of place serialised in a ‘Woman’s Weekly’ as it was very cliched, predictable and far fetched. Our heroine Evie’s life is very text book. All her wishes come true as she miraculously overcomes every hurdle in her path, preposterously easily. I do think the author has crammed too many over dramatic ‘twenties’ scenarios into the one book. The very idea that our heroine could study at medical school during the day then perform in Ziegfried’s Follies at night, is just ludicrous. Our heroine is unbelievable and the rest of the characters are one dimensional stereotypes. This book would suit a teenager or an emerging reader, but if you’re looking for a bit more depth, then give it a miss. Read ‘The Great Gadsby’ instead! 5.0 out of 5 starsA STIRRING AND IMPORTANT MESSAGE FOR THE WORLD!!!!! THIS TALE OF a young woman with her heart set on becoming one of just a handful of female Doctors in booming Charleston-era America is a stirring, blood pumping, fascinating and highly entertaining way to spend three hours of your life. Not only do we get to know, and fall in love with the book’s main character, but the reader is blessed with a history lesson on what life was like back when men ruled just about every aspect of western civilisation. The first shock of the book, however, comes at the end of chapter one when a dear friend of Evie is found alone, on the bank of a local river. Giving birth to an unwanted child. Needless to say the friend dies, the baby lives, Evie has suffered a harsh lesson on what life is *really* like and her destiny is set. The writing is simple but really glows when the story takes itself to New York. Phrases jump out of the page and grab onto your heart with plentiful abandon, destined to stay there for as long as your mind is able to remember this book. For every step that Evie takes forward, it seems that life itself is determined to force her back two more. But that is sure to make her final success even more grand. The story itself is blessed with a plethora of strong characters. Some on Evie’s side, most are not. Interesting, she doesn’t receive much support from her family and it is very easy to hate the lot of them. Her true friends are found when she decides to act out on what she believes in, and takes control of her life as per the book’s plot and of course the reader will soon find themselves cheering wholeheartedly for every victory she achieves. Love is there for the taking as well as one two compelling mysteries to solve. Who is the baby’s father? Will she end up adopting sweet little Mary from the dreaded claws of orphanism? And of course, the only question that matters: will Evelyn become a full fledged practicing Doctor and go on to change the direction of countless women in the process? I urge you to seek out this book and read it. A modern day classic from a young Australian with not just a story to tell, but a stirring and important message to shout to the world. 5.0 out of 5 starsEvie is such an engaging and compelling character, and the background material to her medical training is fascinating. I loved this novel. Evie is such an engaging and compelling character, and all the background material to her medical training and the problems she faced is fascinating. I learnt a lot through reading this book, but in that unobtrusive way of good writing. There's no preaching, or bashing you over the head with ideas and themes, even though they're very much present in the story. I also loved the clothes and the music and the dancing, and Lil and Bea and Mrs Whitman. There are so many strong women in this book. I was originally reading it in the evenings, but soon found myself looking forward to lunchtime too so I could read some more; and frequently wishing I could be reading it instead of working! All of which for me are the signs of a very good book. 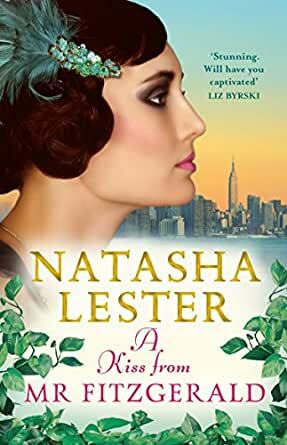 I'm already looking forward to Natasha Lester's next novel, Her Mother's Secret. Warning - don't read this during the week if you have to go to work the next day - you won't be able to put it down. A real page-turner and a must find out what happens next. Fashion, history, a feisty, determined girl and a window into how hard it was to break into the male world of medicine. I hope to read more of Evie and her adventures and challenges. A young woman's emerging independence in a changing world is a captivating story. A great read hard to put down. 5.0 out of 5 starsA stunning novel. Once started I had difficulty putting it down. The story covered so many intriguing aspects of life. Highly recommended for a heartwarming and intelligent story. This was a lushly written novel which evoked all the trials and tribulations of a woman in a man's world. A terrific cast of characters which drew you in. Definitely one for the book group.